Cyber Monday Sale and New Holiday Colors! Home » Unlabelled » Cyber Monday Sale and New Holiday Colors! Hi guys! I have 3 new holiday colors that are going up for sale in my shop on Cyber Monday. 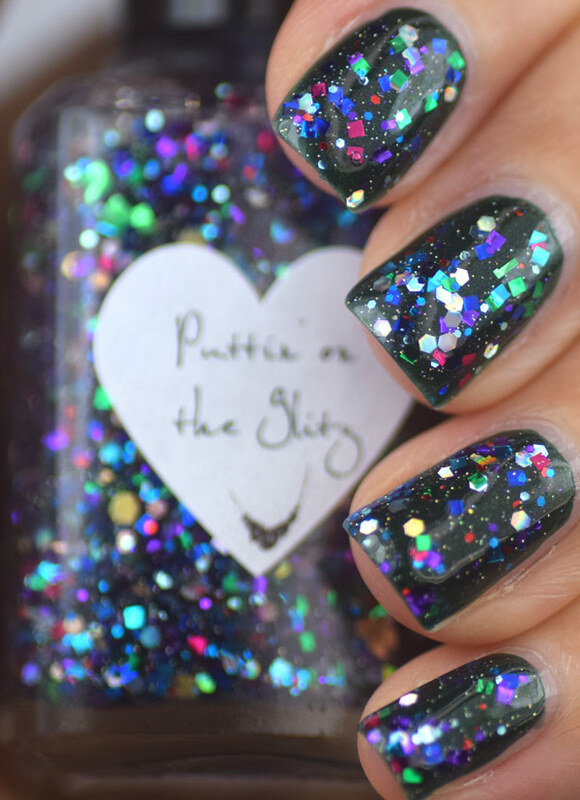 My favorite is Puttin' On The Glitz layered over Holly Jolly, I can't stop wearing this manicure the pictures do not do it any justice. I looks like a decorated tree! Well anyway here are the swatches. Puttin' On The Glitz. 2 coats and then 1 coat layered over Holly Jolly. 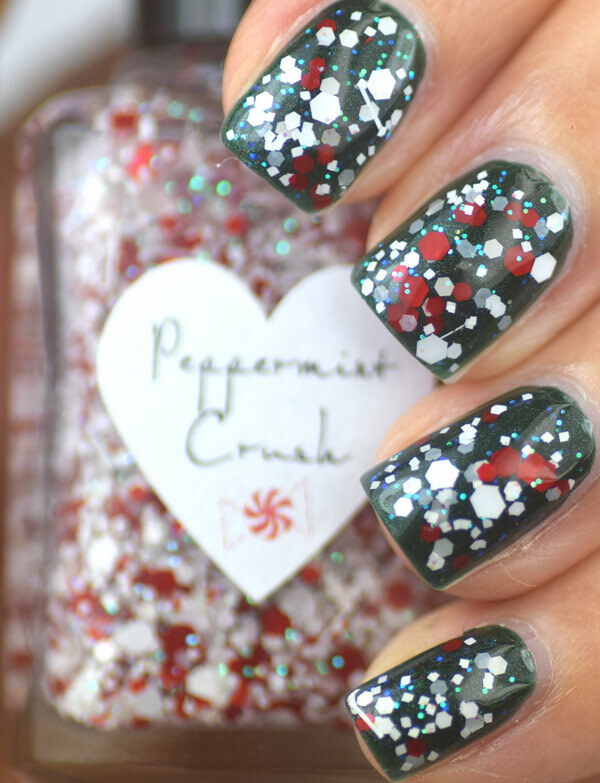 Holly Jolly is a forest green shimmer with tiny red glitter. 2 coats. 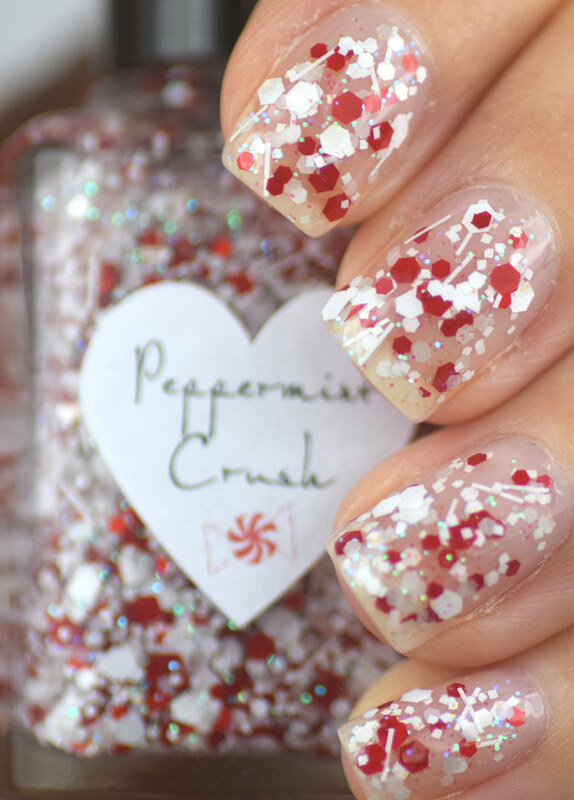 Peppermint Crush has different sized red and white matte hex and some white bar glitter with iridescent blue. 2 coats and 1 coat over Holly Jolly. 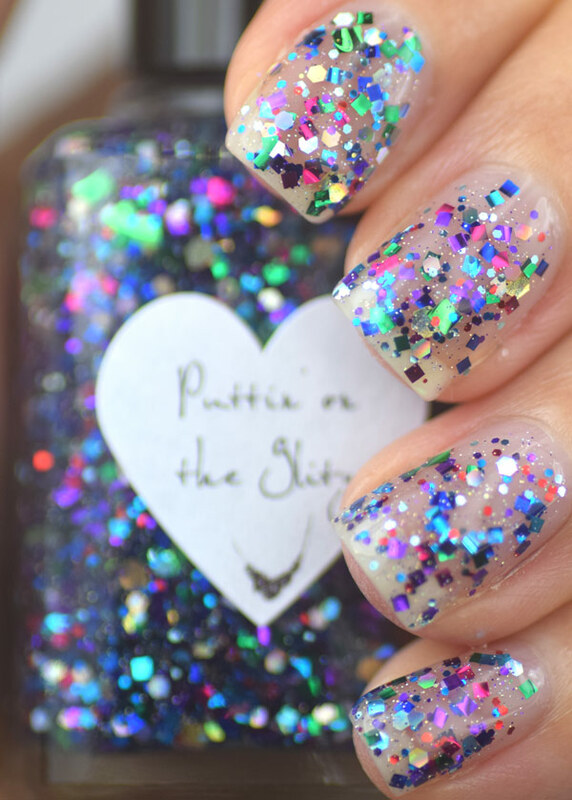 Both the glitters are meant to be 1 coat layering top coats, they look really great over dark or bright colors! Finally, the sale! This coupon code is good only on Monday, happy shopping!